ESLP holds a weekly lecture series every spring quarter in conjunction with the Action Research Teams. Each Monday night we invite knowledgeable and interesting experts to speak on topics such as sustainable living, food systems, energy, and social justice. The series is open to the public, so please join us! Women of Color Speak Out is a collective of direct action activists that formed during ShellNo. Shifting the dominant environmental narrative in policy and science, we speak out on how systems of oppression have led to worldwide ecological disaster. We speak on how capitalism, colonialism, racism, the prison industrial complex and patriarchy have lead into climate change. WoCSO consist of grassroots organizers with Black Lives Matter Seattle, Seattle Bhakti Yoga, Rainier Beach Restorative Justice Project, Peacemaking Circle Initiative, and NDNs for Justice. Learn about the tactics of this group of well known Direct Action Climate Justice activists. Famous for confronting institutionalized racism and patriarchy not only in Oil corporations but also in the Nonprofit Industrial Complex, Women of Color Speak Out present tactics for creating coalitions between marginalized frontline communities and ally groups, with emphasis on how to strengthen solidarity while dismantling the systems of oppression that have created Climate Change. They examine Internalized Oppression, and what the true roots of oppression are, so that the Climate Justice movement can be most effective at this critical time in human history. David Robles is a 2nd year Apprentice at the Center for Agroecology & Sustainable Food Systems. 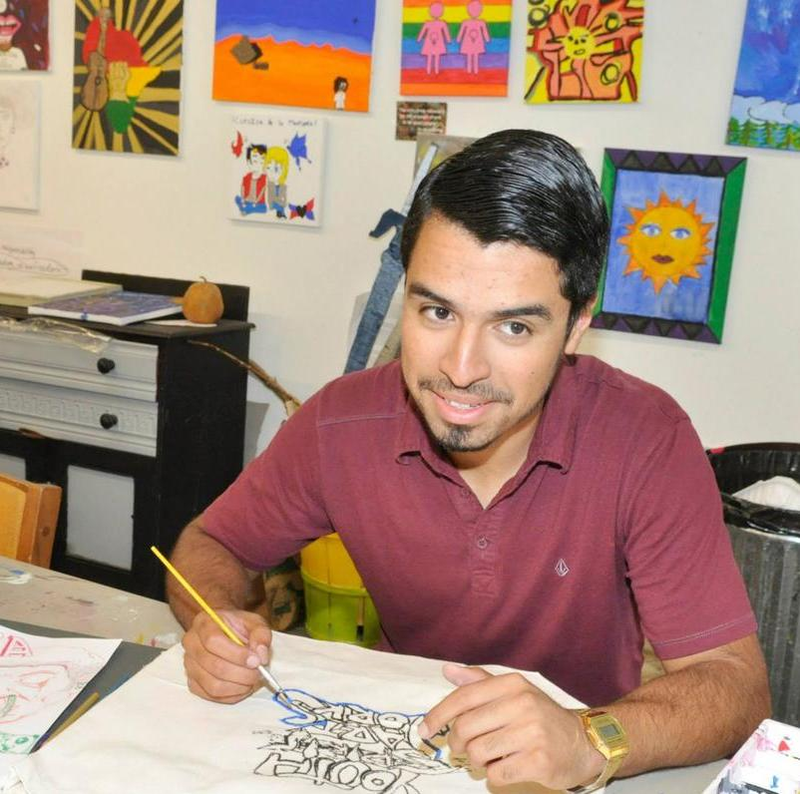 Robles first came to work at the CASFS farm in fall 2012 when he enrolled as an undergraduate at UCSC. During his tenure at the farm, he has displayed a tireless nature and deep dedication to caring for a farm that serves undergraduates, aspiring farmers and the Santa Cruz community through education, research and building food access. His contributions have been integral to the farm’s health and sustainability. He is especially passionate about youth leadership, music, history, and land access. Carlos Lemus is a soon-to-be first generation UC Santa Cruz alum, and has spent his undergraduate years fighting for food justice and social equity through digital activism. He is a Film & Digital Media and History double major, and has contributed to the campus' food systems, media, and inclusion. He has produced videos for Practical Activism Conference (PAC), Student Union Assembly (SUA) and UC Global Food Initiative. Carlos co-founded ELATED (Empowering Latinx Advancement Through Education & Development), worked on the campus farm, and was Chair for the Food Systems Working Group (FSWG) 2016-2017. Son of Guatemalan and Salvadoran migrant parents and Richmond, California-raised, he brings a unique student perspective to the history and future of the geopolitical world of food and immigration. Here are some links to mini-cites Carlos made for his work and FSWG's if you would like more visual context/content. Flora Lu is the Pepper-Giberson Endowed Chair and Professor of Environmental Studies at UCSC and Provost of Colleges Nine and Ten. She earned her A.B. in Human Biology from Stanford University and her Ph.D. in Ecology from the University of North Carolina at Chapel Hill. A National Science Foundation Graduate Fellow, Royster Society Fellow, and Lang Post-Doctoral Fellow, Flora began conducting research in the Amazon while as an undergraduate in 1992. As an ecological anthropologist, she is interested in human/environment dynamics in tropical rainforests, the political economy of oil extraction, resource governance, and household economics. Her longitudinal fieldwork among indigenous communities in the northeastern Ecuador has been featured in two programs on the National Geographic Channel, has been funded by $2.5 million in external grants, and has been published in four books and three dozen publications in journals such as Human Ecology, Conservation Biology, Current Anthropology, Human Organization, and the Journal of Ecological Anthropology. She is the recipient of the Division of Social Sciences “Golden Apple” Distinguished Teaching Award (2010); Committee on Teaching's Excellence in Teaching Award (2011); and Chancellor’s Diversity Award (2016). Land, Habitat, and Watersheds. Social & Environmental Justice. Mr. Ali worked for EPA Administrators beginning with William Riley and ending with Scott Pruitt. He joined the EPA as a student and became a founding member of the EPA’s Office of Environmental Justice (OEJ). He elevated environmental justice issues and worked across federal agencies to strengthen environmental justice policies, programs and initiatives. holistic strategies to address the issues facing vulnerable communities. environmental justice, sustainability and climate change issues. • 2010: served as the Environmental Justice Lead for the BP Deepwater Horizon oil spill. Affairs, Appropriations, and Environmental Justice.